One of the most pervasive domains in the last forty years that has captured the attention of CEOs, consultants, managers and academics is branding. How can companies build successful brands? How can they make those brands resonate with customers across time and space? What are the key success factors that allow certain brands to dominate the global brandscape? Although these questions have been asked and answered variedly repeatedly over time, CEOs and brand managers across the world still grapple with building iconic brands. And the handful of brands that have collectively captured consumers’ psyche are the ones that originated a couple of decades ago. This yet again drives home the point that the emergence of new iconic brands is not an easy task. In particular, this is the case in the special context of luxury brands. Given their unique positioning and niche targeting within the larger mass markets, luxury brands face a double whammy of the liability of market newness and the uphill task of competing with well entrenched incumbents that have made deep inroads into the local cultural fabric. As competition increases and the trend from commoditization continues, companies are more keen than ever to create strong brands, especially luxury brands that can increase their revenue base, enhance their overall brand equity and strengthen the base of their loyal customers. However, building luxury brands is extremely challenging. Given these inherent challenges, how can companies build globally successful luxury brands that simultaneously appeal to key customers while differentiating themselves with the field defined by long-standing brands? This article proposes a practical framework for CEOs and brand managers to build resonating luxury brands by following certain key strategic steps. Specifically, this article provides five key steps for CEOs and brand managers that can facilitate the creation of basic building blocks for creating a resonating luxury brand. One of the fundamental principles of effective branding is for brands to diligently select a lucrative segment that they can then target through an enticing positioning. Although this general principle is universally applicable, luxury brands are substantively different from other brands. Luxury brands are built on the premise of offering high symbolic value to a very selective segment of consumers that are more focused on high status associations than the underlying price. As such, the first step for companies to build a powerful luxury brand is to identify a niche segment of affluent customers and devise offerings that are valued by those customers. Given the focus on highlighting symbolic value either through an overall brand experience or via exclusivity in offerings, price points or availability, luxury brands have a heightened need to identify their niche segment to which they design their offering to. For example, the Giorgio Armani brand is known globally for its very high end designer clothing line for men. Although the brand began by specifically targeting the ultra high end, mobile professionals that cared for a high quality product, over the years, it has gradually expanded its brand architecture scope with different products and slightly broader customer segments. Recently, Armani announced that it would launch the Armani jeans in the US market targeted at fashion seeking yet price sensitive youngsters in the urban metro cities in the US. Selecting such a niche segment is key even to an established luxury brand such as Armani. As such, it becomes even more important to an aspiring luxury brand. As global brands strategize their competitive moves, they are likely to either follow a cost leadership strategy or a differentiation strategy. All luxury brands follow a differentiation strategy. However, unlike differentiation on mere product attributes, luxury brands should aggressively differentiate their brand experience. Unlike the usual mainstream brands, luxury brands are characterized by high levels of customer loyalty, key features that define their identity and powerful associations with certain central intermediaries in the market for luxury products. These features mandate that the level and type of differentiation that luxury brands carry out be even more powerful, more distinct and more focused on the symbolic value that it offers to customers. Southwest Airlines is a leading brand that has always consistently followed a differentiation strategy. But the bases for its differentiation are its overall cost structure and its corporate culture. Although such a differentiation has propelled Southwest as one of the most successful airlines, those very bases have also highlighted primarily the functional value of the brand and have differentiated it from a true luxury brand. On the other hand, Bang & Olufsen, the iconic Danish luxury brand in design and electronics, is globally acknowledged as a leading luxury brand in its industry as the bases of its differentiation highlight primarily the symbolic value and appeal to customers’ psychological need to associate themselves with brands that are high on the social hierarchy. In this context, Bang & Olufsen does not only compete with similar brands in the same industry category – they compete with other luxury brands. The most important element of creating luxury brands is the brand’s ability to create and communicate symbolic value for its customers. Brands usually offer two types of value – functional value and symbolic value. Functional value emanates from the features and the potential uses of the brand. Functional value highlights the base line value that customers expect when they buy a brand over a commodity or a store brand because of its underlying promise of quality, reliability and trust. As such, it directly reflects the tangible ability of the brand for the customers. Symbolic value on the other hand emanates from the social standing of the brand, that is, the extent to which the brand is perceived as being an elite offering aspired by the customers. As such, symbolic value reflects the extent to which the brand is endorsed and validated by the cream of the customers. Global brands aspiring to build luxury brands should careful devise strategies to emphasize their symbolic value for their customers. Unlike many of the mainstream brands, luxury brands are all about creating a sense of social standing for customers, for which they don’t mind paying premium prices. As such, aspiring luxury brands should strive to carve out their own way of creating symbolic value in the segment of customers that they are primarily targeting. One way to emphasize the brand’s symbolic value is through storytelling and building a longstanding heritage. If one were to study the similarities between luxury brands in the market today, it is very apparent that all luxury brands have a story to tell, from its founder’s story of founding the brand, to its sustainable efforts in connecting with society. One very good example is the Ralph Lauren brand. Starting out with making rags into ties, the American label is truly the rags-to-riches American Dream personified. As Ralph Lauren once said, “I don’t design clothes, I design dreams”. Another example of a brand that has leveraged on this strategy of creating a perception of a longstanding heritage is TWG Tea. The 1837 date on its logo marks the beginning of when the island became a trading post for teas, spices and fine epicurean products, but also serves as an element reflecting the heritage of tea making and the brand’s commitment to fine tea production. What makes a brand to be perceived as possessing symbolic value? Among others, an important factor is the perception of exclusivity. All luxury brands strive to create a sense of exclusivity for its customers. Perceptions of exclusivity can in terms of unattainable price, limited geographic availability, barriers to possession, or even limited supply. These mechanisms of creating perceived exclusivity not only creates a pseudo sense of demand for the brand in the eyes of the observer but also enables those who patronize the brand a sense of special status. Furthermore, creating the perception of exclusivity also enables the brand to sustain its positioning in the face of extreme external shocks such as heightened competition, regulatory shocks or even recession. As such, CEOs and brand managers striving to build luxury brands should carefully devise their strategies and resulting tactical actions to create a sense of exclusivity for their brands. Consider the example of Nokia Vertu, the ultra high-end mobile phone launched by Nokia only directed at luxury seeking customers. In addition to selling them through “Vertu Stores” that were located among showrooms of Prada, Gucci and Louis Vuitton, Nokia also managed to limit its supply to create a very strong sense of limited availability and exclusivity. Another example of a brand that is well-known for using an exclusivity strategy is Hermès. The aura of exclusivity around the brand is a result of its philosophy and aim to always remain “ultra-premium luxury” -to be afforded by only the very few and not be easily available. Such strategies can facilitate aspiring brands to create successful luxury brands. One of the biggest challenges for any brand is to consistently deliver on all the brand promises. Successful brands are those that create supportive organizational and operational structures that facilitate the implementation of strategies to deliver on the promises. However, delivering on brand promises involves multiple dimensions in the case of luxury brands. Not only do luxury brands need to consistently deliver on the promise of symbolic value, but they also will need to project consistency and continuity in every possible touch point. Giorgio Armani, the Italian luxury fashion brand, takes great efforts to ensure that all touch points are effectively met across its vast global operational system. Singapore Airlines is also another great brand that is the embodiment of a well-delivered brand promise with strong Asian roots. The Singapore Girl was created in 1973 based on the promise of a great way to fly based on delivering consistent great service and by using the latest technology available. To add to this, given the external shocks in terms of global recession leading customers to cut down on their luxury products, they are also forced to compete on non-luxury brands, many time on the price front. In fact, many luxury and high-fashion brands have not been immune to this as we see many companies creating sub-brands in their brand architecture to capitalize on and cater to the lower-priced customer segment. In such situations, it becomes even more important for luxury brands to solely focus on highlighting the symbolic value through brand experiences than being inconsistent to its brand promise of high value. For example, the recent recession and global downturn was a huge challenge for luxury brands as customers may postpone spending money on luxury purchases. However, the most successful of luxury brands are not right away getting involved in a price war. Louis Vuitton is a good example of this as the brand is never on sale, and any surplus merchandise is destroyed systematically to avoid dilution of the brand equity. Maintaining their focus on superior value and unique brand experience across time and space is an important part of uncompromising delivery of brand promise. Indeed, building a luxury brand today amidst other longstanding brands in the current market landscape may seem daunting. 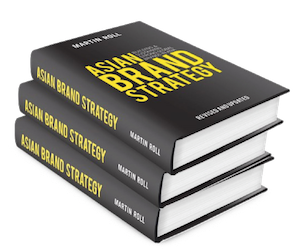 However, with a clear plan to identify a niche customer segment and emphasize the brand’s symbolic value, there is huge potential for brand managers in Asia to differentiate and position new, iconic luxury brands in the market. Some recent examples are Shang Xia, a Chinese luxury fashion brand offering high-quality products with a contemporary twist on traditional Chinese aesthetics and crafts. In addition, another challenge that luxury brand managers need to deeply consider is how to make digital and technology a key business enabler. The purchase decisions of luxury consumers go much more beyond just financial extravagance; but instead allows them to pursue a passion or associate themselves with the brand’s image and aspiration. In such a digitalized and commoditized world, brands need to be able to express the same emotion that can resonate with luxury consumers. Digital disruption and emotional engagement, although seemingly opposite, can actually be combined to enable companies to reap the most out of their luxury branding efforts. Aspirational CEOs and brand managers seeking to create luxury brands should make the above elements core to their corporate strategies. With digital disruption being the norm in the industry, it will be exciting to see what new luxury brands will be discovered in the coming 5 years and how they will find new ways to engage consumers.